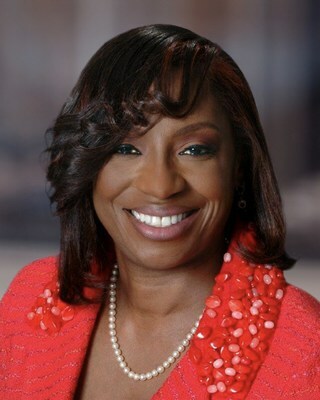 CLEVELAND, Feb. 12, 2019 /PRNewswire/ -- Teresa Metcalf Beasley has joined the Cleveland office of McDonald Hopkins LLC as a member and will serve as chair of the firm's Public Law Practice Group. She brings more than 25 years of experience and an established reputation as a real estate development and public finance attorney in the city's public and private sector. "Teresa's experience, expertise and deep connection to the City of Cleveland will enhance every area within our Public Law Practice Group and the firm as a whole," said McDonald Hopkins President Shawn Riley. The current Law Director for the City of Warrensville Heights and former Director of Law for the City of Cleveland, Beasley was recognized among Savoy Magazine's Most Influential Black Leaders for 2018. Savoy's list recognizes the top black lawyers within national law firms, as well as corporate counsel from Fortune 1000 corporations, who are widely recognized for their professional accomplishments, protection of rights and community service. In 2018, Beasley was also inducted into the Cleveland-Marshall College of Law Hall of Fame and recognized by the National Diversity Counsel as one of Ohio's Top 15 in Business. In addition to real estate transactions and public finance work, Beasley's practice focuses on real estate development and financing, public finance, historic and new markets tax credits, economic development incentives, tax increment financing and government relations and public law. She also counsels clients regarding public-private partnerships. On Feb. 25, Beasley will be a panelist at Engage! Cleveland's "Be Heard" dialogue with city leaders who are challenging the status quo.